The minister of justice announced public discussion in combating corruption in the justice system. This is the response of the Bulgarian Prisoners’ Association. Which organs (institutions) should battle corruption at the different levels of power? Should the local authorities join the law-enforcing authorities in their atni-corruption fight? What should be the correlation between the area of application of this law and the anti-corruption measures in the Law for the Judiciary Powers? 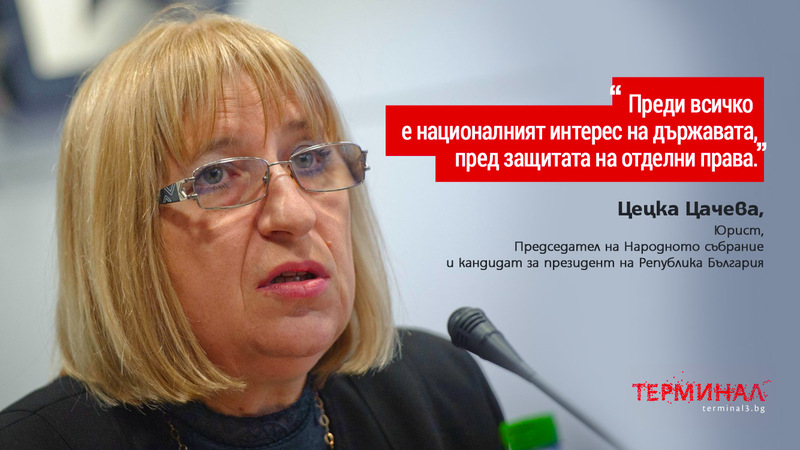 One of the most common forms of corruption is through undue pressure on the Bulgarian judiciary through the media, especially from Ministers, Members of Parliament, Police, Prosecutors’ Office and other representatives of state institutions. Unlike many developed states, Bulgaria has no laws prohibiting the interference by influential people through the media in the independent judiciary. Judiciary are often scared by media “scandal” out of doing their jobs objectively and in favour of the popular media position or the position of those unduly influencing the judiciary. There needs to be legislation prohibiting state officials and members of Parliament from discussing ongoing cases publically. There is simply no legitimate reason why a state official would need to comment on a case in the media, and the only motivation for such an action is to corrupt the objective decision making process. The ban on public discussions, comments to the press, interviews with any media or public posts on social media should be enforced on all state employees until the relevant trial or court process has concluded. Furthermore names and photographs of accused should not be allowed to be published so as not to cause bias in the judiciary. Bulgarian law is clear that people cannot be filmed or photographed without their consent. However accused are brought to court by guards in chains and handcuffs where they are filmed and photographed. The presumption of innocence is automatically lost when the accused are publically displayed in such a manner that presumes that they are guilty even before trial. A major source of corruption is the mob rule that reigns over the rule of law. The judiciary cannot be expected to do their job objectively and professionally when the Minister of Justice publically tells them not to, such as recently with regards to parole hearings of prisoners. At the same time the judiciary cannot fulfill their jobs objectively if they are afraid of being lynched due to sensational so called “populist” media and public hype, which is always simply the subjective agenda of one of the interested parties to the relevant court hearings. One of the most corrupt institutions in Bulgaria is the Head Directiorate for the Fullfilment of Punishments1 – HDFP (ГДИН). Especially now as the Parliament wants to reverse the anti-corruption reforms of Febuary 2017, without prisoners being able to access courts themselves, acces to a court hearing will once again return to a massivevly corrupt money making scam by the Directors of their respective prisons. To deprive prisoners of their access to a parole HEARING means a massive step backwards for transparency in the Bulgarian Justice system. As the government wants to reverse the anti-corruption reforms in the Criminal Procedural Code (НПК), the Bulgarian Prisoners’ Association asks the Ministry of Justice, what measures they have taken to prevent the systematic racketeering of prisoners by prison staff who demand bribes in order for prisoners to have access to the courts. With regard to the Minister of Justice’s first point “Which organs (institutions) should battle corruption at the different levels of power?” our answer is “The institution” that should battle the corruption within the National Prison Authority and the prisons is the Minitry of Justice by proposing appropriate laws that encourage transparency within the prison system especially with regards to parole. The Parliament however has done the opposite of this by voting to repeal the reforms passed into legislation in Febuary 2017. The first line against corruption is good legislation, and “good” legislation is legislation that increases transparency. The law allowing prisoners access to court in order to have a parole hearing has increased transparency to a level that has shocked the corrupt staff who work for the prisons, the National Prison Authority and the Ministry of Justice. With prisoners being able to request parole, the mass corruption amongst the prison staff, who have not been doing the jobs they have been collecitng their salaries for, has diminished. To repeal the law allowing prisoners to only REQUEST a parole HEARING will only serve to encourage corruption where prison staff are not conducting any resocialisation programs as required by law. If prisoners cannot request a parole hearing there will never be objective reviews on the dossier of the prisoner and defacto the work of the prison staff with that same prisoner. Within the prisons there are two massive forms of corruption, the most well known is prison staff being bribed. This occurs especially around questions of a prisoner’s progress through the prison system whereby the actual regime of the prisoner is slackened (not to be confused with the official “regime” change, although this is part of the increase in rights and access to society). The second major form of corruption is where prison staff do not do their required work because they know that prisoners have no recourse to appealing or requesting the work to be done. An easy example of this can be seen by the fact that the majority of prisoners in Bulgaria don’t have a ‘Plan for Serving the Sentence’ according to article 156 of the Law for the Fullfilment of Punishments (ЗИНЗС). The Plan is the most fundаmental instrument for the rehabilitation and resocialisation of prisoners in Bulgarian prisons. However only very few prisoners have such a document depsite it being a requirment by law that prison staff prepare such a document after a persona has been in prison for 3 months. Speaking from personal experience, no plan according to article 156 was made for me in Sofia Prison for my first 6 years there. However now that prisoners can request a parole hearing, the courts get to review the prisoners’ dossiers and with the increased scrutiny from the Bulgarian Judiciary into the dossiers the prison staff are forced to complete the nescesary tasks essential to rehabilitaiton and resocialisation of prisoners. This is required by the law that has always existed, but never been fullfilled due to the corruption of prison directors which is initiated by the former lack of transparency into the work of prison staff. Apart from the current law project that passed first voting in Parilament, which once again will return the most corrupt practices within the institutions of the Ministry of Justice, in general any reduction of a prisoner’s right to appeal, challenge or initiate the actions of prison staff will only serve to reduce transparency and increase the abuse of power and corruption within the prison staff. There are many aspects of legislation that still need reforms, however after legislation that makes prison staff accountable for their actions and importantly for their inactions, is legislation to make the finances and the budgets of prisons and the Head Directorate for Fulfillment of Punishments (ГДИН) public. All prison institutions in Western European Union Member states publish their respective budgets. The govenrment hiding the budgets and expenses of their prisons is leading to mass embezzlement of state funds which then radiates in many other forms of corruption and massively demoralize the prison staff who want to do their jobs profesionally. It is well known amongst the staff in prisons and the National Prison Authority that those who get promoted are those who are on board with the schemes for embezzling state funds. Staff know that if they report irregularities they will be immediately attacked by groups of staff who are working together to embezzle funds. The public needs to know how much money is being given to the prisons for their running, how much money is being made through the respective businesses that operate within the territories of prisons. Where are the profits from the prison businesses being spent and why? Also of importance is to have all the bonuses given to the managers of the businesses managed by the Prison Works Fund state coorperation (Фонд Затворно дело). There have been massive scandals that have only been brought to public attention by the prisoners themselves, such as the incident of mass embezzlement of the funds in the HDFP (ГДИН) from the budget for the prisoners’ food rations. Embezzlement continued when Sofia Prison couldn’t pay their water bills in 2014 and there still remains no explanation as to what the HDFP (ГДИН) does with the 60% of prisoners’ wages that are confiscated without explanation while the running costs of the prison are covered by the approved budgets that the prisons receive from the state. The only reason anyone in the Ministry of Justice would be opposed to the publication of budgets and spending of prisons would be if they themselves are engaged in embezzlement. The front line against corruption is good legislation that encourages and increases transparency and the ability to scrutinize the actions of state officials. The current law project in Parliament, which prevents prisoners from being able to request a hearing for parole, does not promote transparency at all and of course creates the environment for prison staff to do as they please without any review from court. This, of course, will result in what happened until the anti-corruption reforms in February 2017 whereby prison directors abused their position to extract bribes and persecute prisoners who fight against this very corruption. Local authorities are incapable of fighting corruption if the government continues to legislate laws that prevent the public from accessing courts to challenge corrupt practices within government institutions. Local authorities are incapable of fighting corruption if the government refuses to pass legislation making it compulsory for Bulgarian state institutions (such as prisons) to make their finances publically available, including funds received and spent and of course the explanation for these expenses. Regarding: Law project for amendment of Criminal Procedural Code (НПК), No. 754-01-15, tabled by Kornelia Petrova Ninova and a group of MPs on 01.06.2017. At a meeting held on 28th June 2017 the Commission for Legal Questions discussed a law project for amendment of the Criminal Prosedural Code, No. 754-01-15, tabled by Kornelia Petrova Ninova and a group of MPs on 01.06.2017. On behalf of this group the law project was presented by Mr. Popov who pointed out that the proposed amendments aim at changing the procedural order for the process of parole. The project provisions taking away the ability of the convicted to decide themselves whether the right moment for their early release has arrived, while handing this evaluation to the discretion of the prison authorities. It also suggests narrowing the criteria for evaluating the grounds for each application for early release through erasing the clauses of article 439а, paragraph 1 and paragraph 3 from the Criminal Procedural Code. Regarding this law project we have received a critical statement from the Bulgarian Helsinki Committee. The following MPs took part in the discussion: Philip Popov, Simeon Naydenov, Yavor Notev and Danail Kirilov. Mr. Naydenov pointed out that the notion of early release is complex from a factual aspect and in the proposed law project there aren’t distinct criteria regarding which serious crimes it would cover and which not, therefore he would not vote for it. Mr. Notev emphasised that the enforced amendments from February 2017 only allow the right of application for early release on the part of the convicted, while the evaluation and the decision is only made by the court. Mr. Kirilov expressed a negative stance towards the law project while stressing that by passing the amendments in the Law for Fulfillment of Punishments (ЗИНС) in February 2017 Bulgaria had observed the requirements from a number of court rulings by the European Court of Human Rights against the Republic of Bulgaria. After the discussion the Commission for Legal Questions with 5 votes “for”, 10 votes “against” and 0 votes “abstentions”, proposes to the Parliament not to pass at first vote the Law project for amendment of the Criminal Procedural Code (НПК), No. 754-01-15, tabled by Kornelia Petrova Ninova and a group of MPs on 01.06.2017.